A patient’s HbA1C score is integral for diabetes control but it is not the only indication of being healthy. A wide fluctuation in blood sugar levels may show that the HbA1C goal is achieved because the average is good. 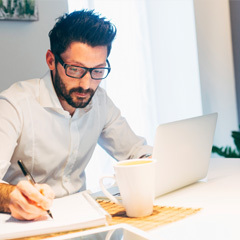 However, the patient may be experiencing day-to-day fluctuations, which can lower quality of life and increase the patient’s risk of complications. Insulin Pump Therapy, also called continuous subcutaneous insulin infusion (CSII), mimics the physiologic function of a normal pancreas, providing fewer fluctuations in blood sugar levels, more flexibility, less hypoglycaemia and better control, especially overnight. This therapy provides more complete information, allowing your patients to make confident decisions. We have a number of products that will help you and your patients achieve better control of their diabetes. 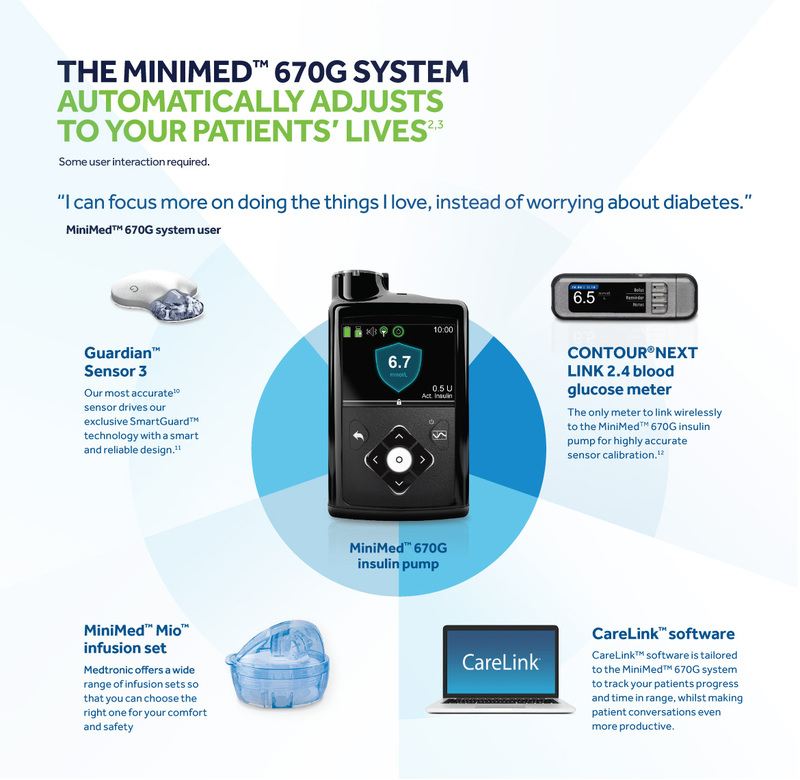 The MiniMed® 670G system is an insulin delivery system designed to help people on intensive insulin therapy achieve better control and greater freedom3. The system consists of an insulin pump with a hybrid closed loop algorithm, a continuous glucose monitor,diabetes care management software, a blood glucose monitor and MiniMed® infusion sets. Basal Rate: This is a programmed insulin rate made up of small amounts of insulin delivered continuously, mimicking the basal insulin produced by the pancreas. You can determine the programmed rate, based on your patient’s needs. 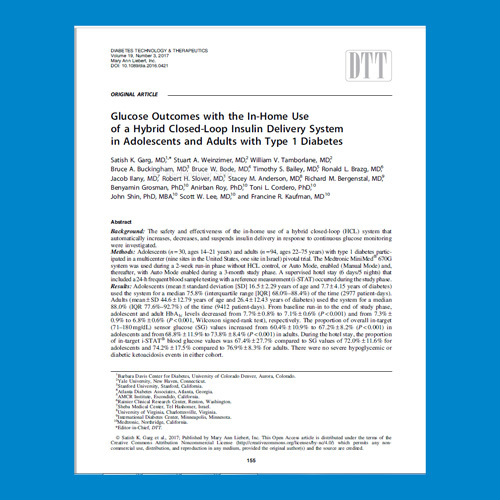 This basal rate delivery can also be customised according to specific daily needs and can be suspended or altered for a definite time frame - this is not possible with long acting insulin injections. ​Bolus™ Dose: This is the additional insulin that can be delivered ‘on-demand’ to match the meal plan or to correct high blood glucose. Insulin Pumps have Bolus™ calculators that help the patients calculate their Bolus™ amount based on settings that are pre-determined by you. For patients eligible and registered with the National Diabetes Services Scheme (NDSS), monthly insulin pump consumables costs will be around AU$25-30. What are the benefits of Insulin Pump Therapy and how can it help your patients to achieve better glucose control? Easier dosing: calculating insulin requirements can be a complex task, with many different aspects to be considered. 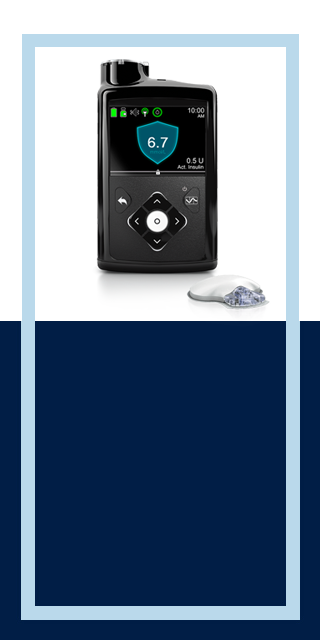 The MiniMed® 670G has a built-in Bolus™ Wizard™ for accurate dosing. It works by taking into account any insulin already in the body, the current glucose levels, carbohydrate intake and personal insulin settings. More flexibility: the MiniMed® 670G can be instantly adjusted to allow for exercise, illness or to deliver small boluses to cover meals and snacks. This is easily done with a touch of a button. There is even a temporary basal rate option to proportionally reduce or increase the basal insulin rate. 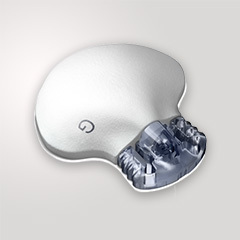 Greater convenience: the MiniMed® 670G offers the additional convenience of a wirelessly connected blood glucose meter. This meter automatically sends blood glucose values to the pump, allowing more accurate Bolus™ Wizard™ calculations and to deliver insulin boluses discreetly. Insulin Pump Therapy as a system^: how does the insulin get into the patient’s body? The infusion set is inserted into the body and is infused through a tiny flexible tube called a cannula that sits just underneath the skin. This is a plastic cartridge that holds the insulin and is locked into the Insulin Pump. It comes with a transfer guard, the blue piece at the top that is removed before inserting the reservoir into the pump. This assists with pulling the insulin from a vial into the reservoir. Is Insulin Pump Therapy right for your patient? 2. The patient is a member of the Medtronic Patient Ambassador Program. This patient testimonial relates an account of an individual’s response to the treatment. The account is genuine, typical and documented. However, the individual’s response does not provide any indication, guide, warranty or guarantee as to the response other persons may have to the treatment. The response other persons have to the treatment could be different. Responses to the treatment discussed can and do vary and are specific to the individual patient. Please consult your healthcare professional for a full list of benefits, indications, precautions, clinical results and other important medical information that pertains to the therapy or products discussed. 15. Please note, the Sure T-infusion set is a steel cannula and therefore does not have a removable introducer needle. 16. Automated insulin delivery is made possible through combining Medtronic insulin pump and continuous glucose monitoring technology.